W 1891. 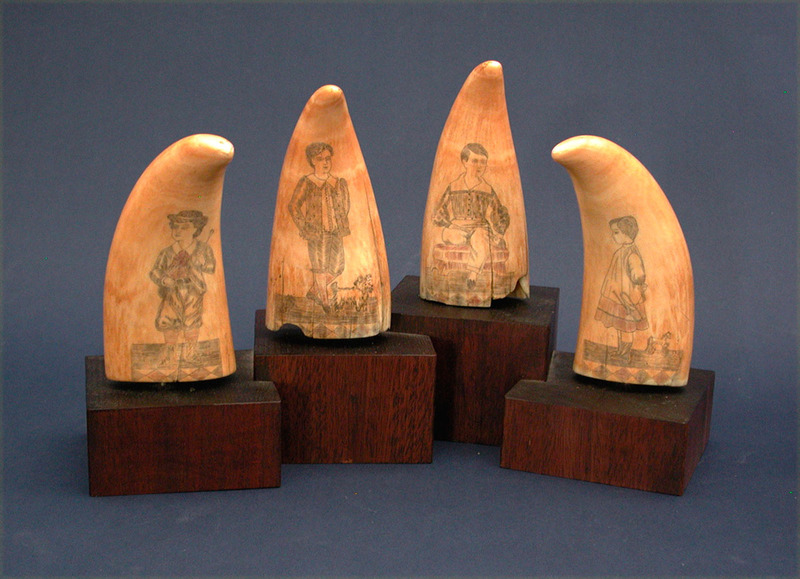 WONDERFUL SET OF FOUR TEETH ENGRAVED WITH FAMILY PORTRAITS. Consists of four sperm whale teeth that all appear to be from the same whale jaw.....if not then they are two pair that are similar in size and shape. Each are beautifully engraved and polychrome colored on both sides. Fronts of each with portraits of young girls. The reverse sides with portraits of properly dressed young boys. The youngest is standing holding a trumpet and behind him is a pull-toy. Another boy poses with the family dog. The third is seated and the fourth also holds a musical instrument. Each tooth about 5" h. x 2 1/2" w. Overall condition very good noting some age cracks in the base areas and that at some point in their life someone carefully filled a few of them but in my mind they look just fine and are not negatively impact by the effort. All with fabulous, desirable age color throughout. Mounted as a set on thick teakwood bases that are cut at varying heights and joined together. 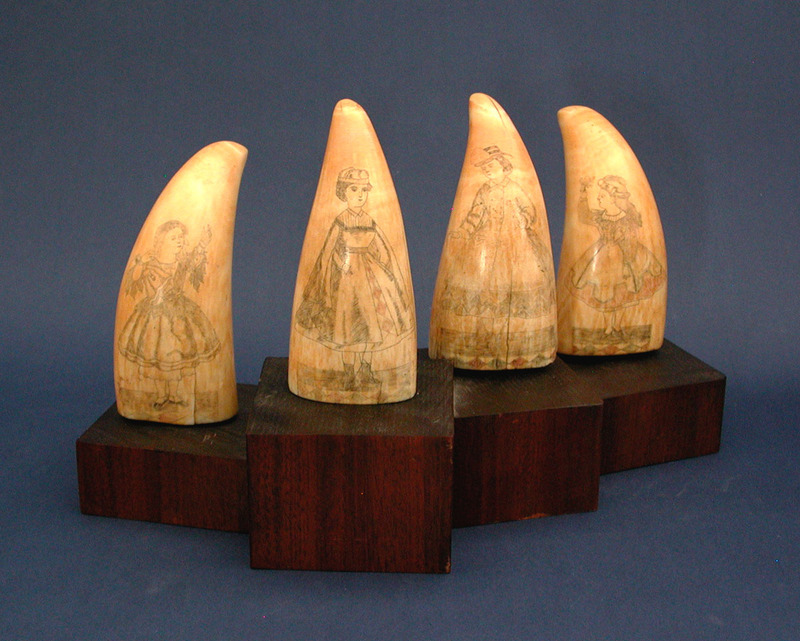 It is very rare to find sets of 19th century teeth that exceed a pair. It is only the second time I've handled a set of four. Delightful looking grouping.